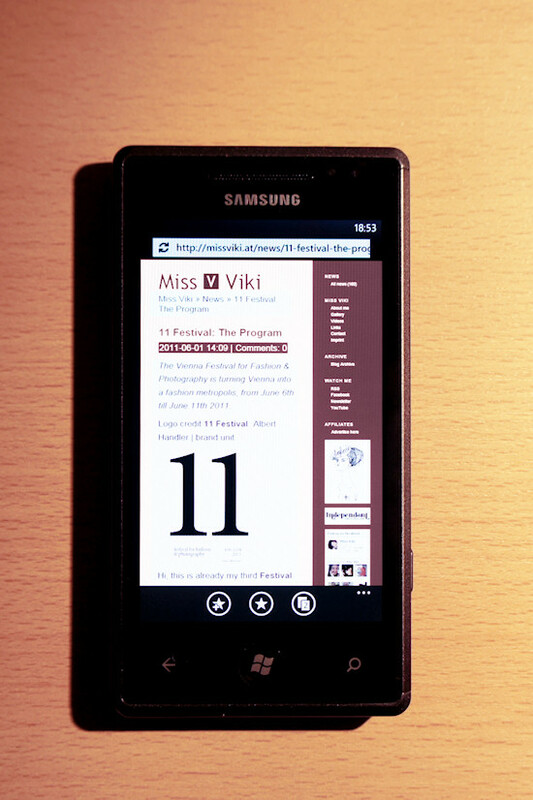 Seven features that set Windows Phone 7 apart from iOS and Android and a new issue of Links à la Mode TECH. Hi, I am on a Samsung Omnia 7 with an unlimited data plan (highly recommended for any smartphone) since four weeks and feel now competent enough to write a review about my favorite features, and what is still missing. Samsung really manufactures incredibly well designed smartphones, and from a hardware perspective I can really recommend the Omnia 7 with WP7 (it is the sleekest WP7 phone at the moment) or the Galaxy S 2 (currently the best Android), the later featuring even a dual-core processor. 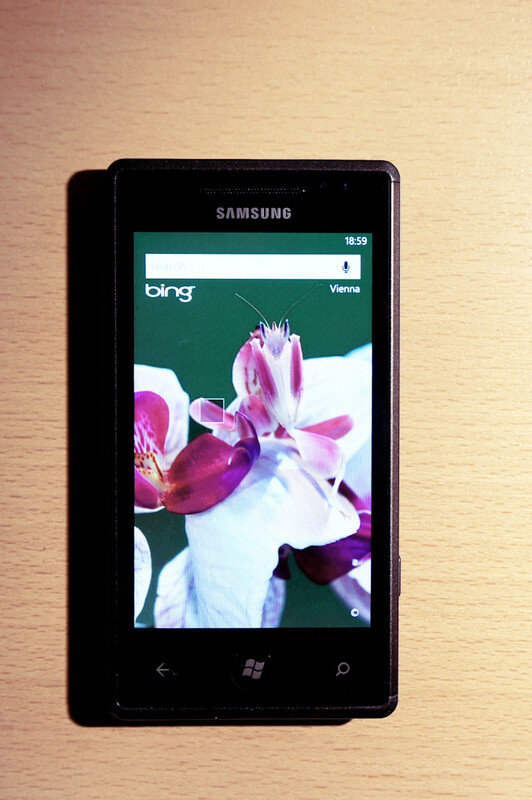 The Omnia 7 has a Snapdragon 1 GHz processor and comes in two editions, 8 GB and 16 GB. Pay attention to this, because memory is not easily upgradable in Windows Phones. It is not the one phone fits all strategy like the iPhone. 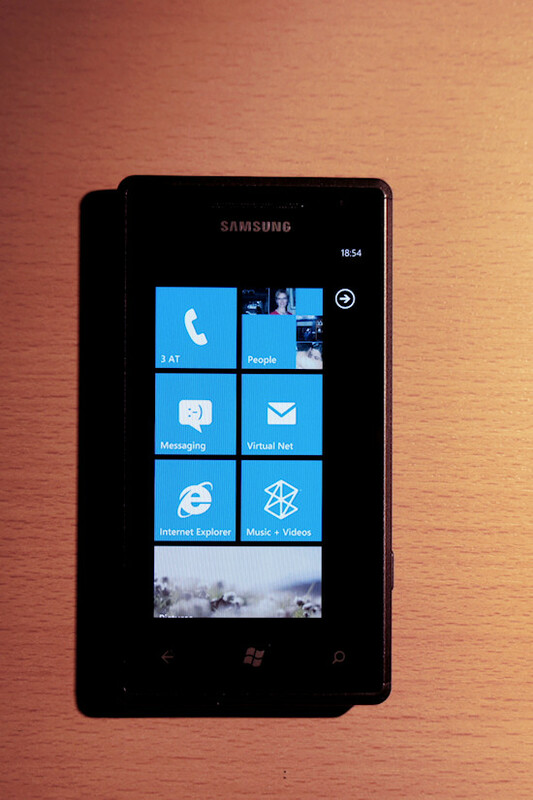 Windows Phones come in different screen sizes and designs, also supporting an optional hardware keyboard. I love choice. I think also business users love to be entertained sometimes and vice versa. 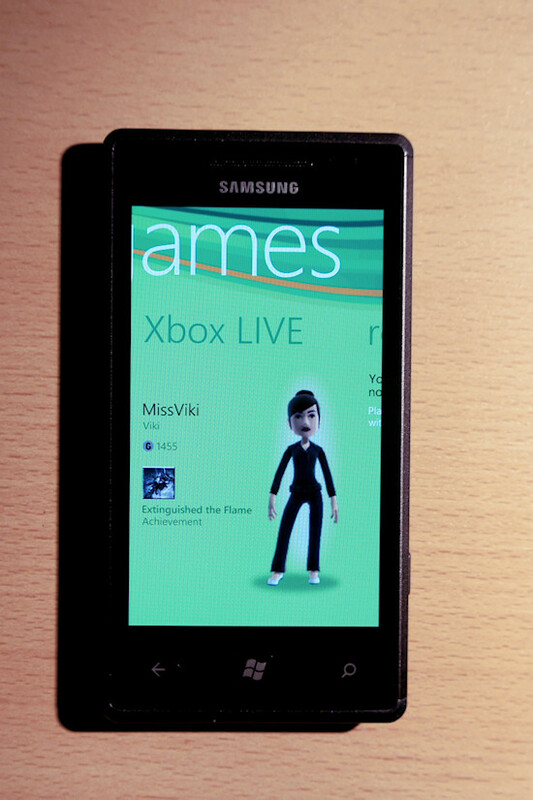 So every WP7 phone is also a Zune MP3 and video player, supports Exchange, views and even edits Word, Excel, and Powerpoint files on the go. PDF reader and Amazon Kindle are available as apps. WP7 brings your avatar to the phone and let you brush up your Gamerscore in Xbox LIVE enabled mobile games. Free, non-Xbox LIVE games are also available in the Marketplace, which are monetized by in-game banner ads. 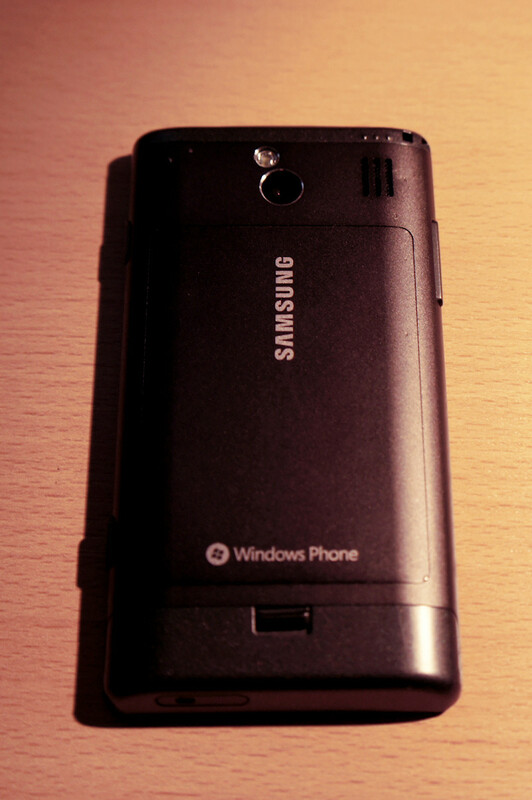 The WP7 guidelines require every phone to have 7 buttons (back, home, search, volumne up/down, camera, and power). 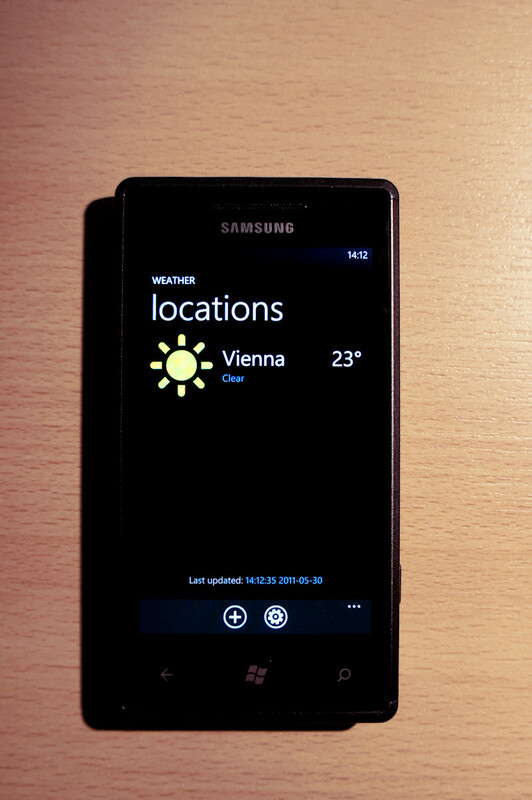 Having a context-aware back and search button is extremely useful. For example, hitting search in the People hub, searches your contacts, in email your messages, and on the start screen it brings up the Bing Web search. Credit: Francesco Tomasinelli | Visuals Unlimited, Inc. I love WP7's data-centric approach, which adds content from Facebook and Windows LIVE (Twitter integration coming soon) to your People and Pictures hub. You can also decide if you want to use all your Facebook contacts as phone contacts, or you can add them manually (Settings > applications > people). Interestingly, WP7 currently only supports viewing the Most Recent Facebook stream but not the filtered Top News stream. Probably the most important app on any smartphone is the Web browser and after years of stagnation Microsoft has finally made some huge progress in Internet Explorer Mobile with super-fluent scrolling, zooming, automatic font scaling, and tab support. With the next major update, called Mango, Microsoft is going to bring hardware-accelerated IE9 technology from the desktop and html5 support to IE Mobile. Here is an impressive video demoing it. Here is a list of things that are still missing, some such as the sideloading restriction are fundamental limitations also present on the iPhone, others will hopefully be addressed in the next updates. Are you a PC, or a MAC? I have spent most of my life asserting that I preferred my PC laptop. It might not have been slimline, pretty, or cool…but at least I had mastered it and with this in mind, my Windows laptop remained my tool of the trade. I expect that’s about to change. I bought an iPhone… and I cannot express how much I love the damn thing. It’s as slick a piece of technology as the hype makes it out to me. There’s a moral in here somewhere: Don’t be afraid to try new technologies just because what you’re using right now is familiar to you – because sometimes taking the plunge can be so worth it!